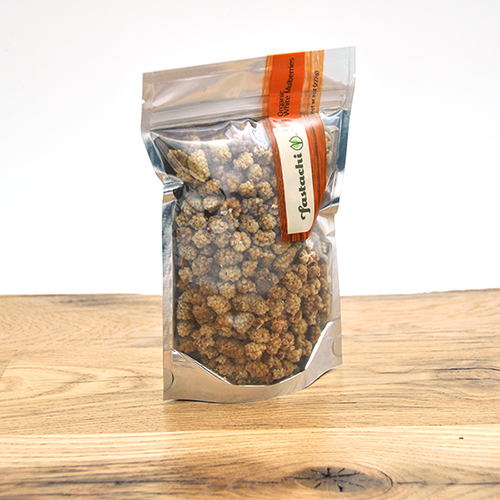 Organic dried white mulberries, the overlooked berries that grow wild, are a sweet and highly nutritious snack. The mulberry tree originally came from China along the silk road thousands of years ago, and grow wild throughout the United States. 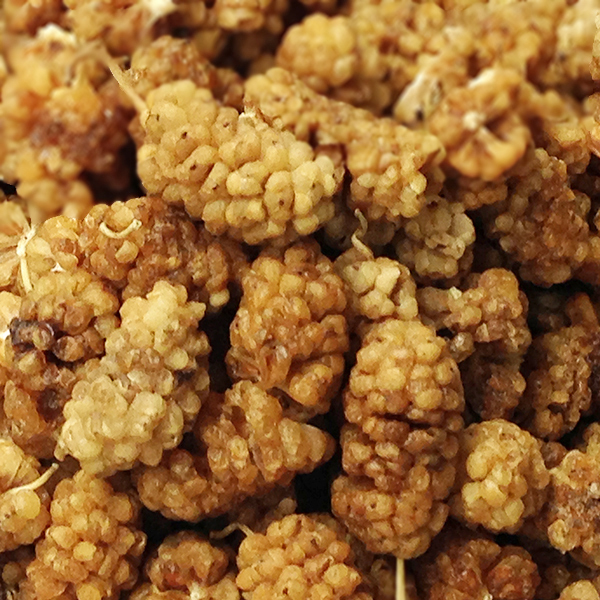 Mulberries are both sweet and tart, chewy and crunchy and can be added to smoothies, oatmeal, cakes, cookies, and other baked goods. Of course, they are a great treat on their own. An alternative to raisins, white mulberries are high in vitamin C, vitamin B, Iron, and antioxidants, and are a good source of fiber. Some health benefits include lowering cholesterol, reducing the risk of cancer, and preventing blood clots not to mention the anti-aging benefits of resveratol (an antioxidant). 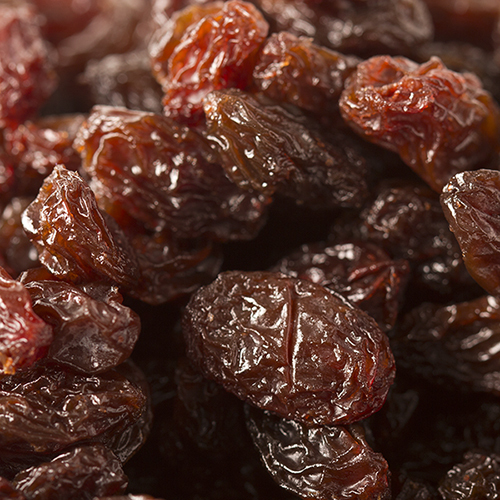 Snacking on this powerhouse of nutrition is a good way to stay healthy. NUTRITION FACTS: Serv. Size: about 1/4 cup (28g). Amount Per Serving: Calories 90, Fat Cal. 5, Total Fat .5g (1% DV), Sat. Fat 0g (0% DV), Trans Fat 0g, Cholest. 0mg (0% DV), Sodium 20mg (1% DV), Total Carb. 22g (7% DV), Fiber 4g (16% DV), Sugars 13g, Protein 3g, Calcium (8% DV), Iron (20% DV), Vitamin C (130% DV). Not a significant source of Cholest. Percent Daily Values (DV) are based on a 2,000 calorie diet.